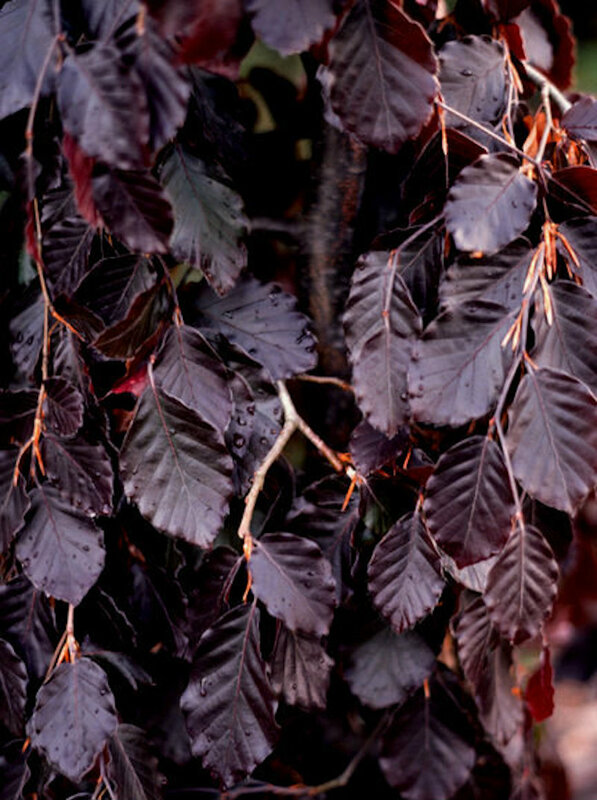 A medium height tree with a height of up to 6 metres (20 feet) after 10 years, Black Swan (fagus sylvatica 'Black Swan') is a good weeping purple beech. It is more compact and with deeper red purple foliage than any other form. Leaves open brown and then go almost black within a few weeks. This tree is supplied at a height of between 1.2 and 1.5 metres in a 12 litre container for year round planting and better results than from bare-root stock.